The title is directly lifted from the 1951 Alfred Hitchcock film of the same name. But that does not matter. This post is not going to be another review of one of the finest films of the master craftsman. ‘Strangers on a Train’ features the same elements of a usual Hitchcockian flick, viz, wrong accusation, macabre, and similar things. The film does not give any significance to trains as a whole, apart from its all-catchy presence in the name, and its visual presence in the opening scenes in order to create a platform for the two antagonists to meet. But, my post has train and train journey as the main theme. It was a Christmas season, the Yuletide was about to begin, the climate was chilly, and frozen drops of water perching on leave tops in the morning was becoming a common sight. I was in Trivandrum, so I began to pack up my things little by little to go home for a weeklong emotional hibernation. But my plans suddenly changed when my sister rang up and asked me to stay with her family for Christmas. That could be another good idea, I thought, because she had her children, my little nieces, with them the Christmas wouldn’t have made another usual stagnation phase for me. I booked my train tickets, to and fro. To reach her home, I had to travel the entire Kerala, since if Trivandrum is the southernmost district, her family was settled at the northernmost one. One night long sleep on train would take me to her home, and the return trip also would take another night long journey. I booked my tickets so that I would reach there on the morning of the day prior to Christmas, and after departing from her home on the noon of the day following Christmas, I could have reached my workplace in the early morning hours of the next day. On the day of the journey, with my travel bag, I reached the railway station on an auto rickshaw. Just like in every time, I had to argue with the rickshaw driver, that is another story. On the train, I did not find any difficulty in spotting my berth, and since the twilight had already been evanescing away, I thought about sleeping. I put alarm on my cell phone for 6:30 in the morning. My berth was the lowest one, closest to the door. I was sure that I was not going to sleep tight, since I had this problem of sleeplessness if bedded on a different place. 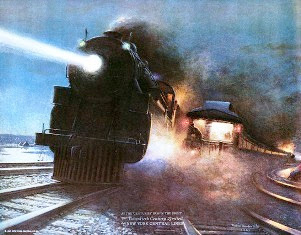 The train was moving fast, tearing away the dark, blowing its horn majestically, along with its symmetric, harmonious jerks. Though the noise irritated my ears, with its frequent contact with the ear drum, it began to feel like lullabies. At a station, a family including men, women, and kids boarded on my compartment. I was actually on a nap, when I was woken up by their talks. The kids asked something disappointingly and disputatiously to their father, and he tried to answer them though not in a pleasing manner. He was in an attempt to find their berths by using the light from a small torch. One of the berths booked by them was mine, and my nearest berths also were booked by them. They asked me for my ticket, when I produced mine, they were silent. They decided to wait till the examiner comes. I was feeling sleepy, but the family members were talking each other anxiously, which disturbed my peace. When the examiner showed up in his batman’s coat, they complained at him. The examiner checked their tickets thoroughly, and told them that they had booked their berths for the day before. They all were got astounded. What could have happened? I thought. The train reaches on the station where they boarded at around 12 O’clock in night. For Railways the time will be 00:00, so starts the next day. Without knowing this, they might have booked tickets for the day before, and the person at the ticket counter might have issued tickets for the wrong day without fully understanding their requirement. The Examiner was trying to convince them what could have gone wrong. Now what? The examiner asked them to pay charge from the train’s starting point to end point (I am not sure) as penalty, and also he checked his list to know which berths would become vacant next. But to get some berths freed, they needed to have waited for some more hours. I was watching the entire actions through my half opened eyes. The whole compartment was dark except the corridor which was lit partially where the entire family found their resort in the night. Seeing my eyes watching them, one woman shed her inhibition, and sat on my berth close to my feet. She asked me about my destination, though passively; and when I replied the name of the place where I needed to go, she exhaled deeply, possibly thinking about the distance they needed to travel to get at least one seat vacant. She asked to me very politely out of humiliation that whether she could have sat on my berth. I replied affirmatively, but I guessed that sympathy might have been more hurting. I noticed that they stopped talking each other, and was resting by leaning on the tin walls of the corridor. While lying thinking about the family head’s helpless state on launching his family in such a situation, I saw the images of them gradually submerging in thin air, on the backdrop of the pale light coming from the corridor. The next morning I was woken up by the alarm from my cell phone. The compartment was not packed then like the night before. The strangers in the night were nowhere near to be seen. I got ready, and after an hour I was welcomed by my sister’s father-in-law at the station. After spending Christmas with them, I boarded the noon train the next day of Christmas. At the station, I happened to meet the same family whom I met on the night train; yes the strangers in the night. Though they couldn’t identify me, (since I was lying in the dark, when I saw them on the train) I introduced myself at them. They were happy to see me, and narrated what happened then. But when the train trumpeted about its imminent departure by blowing the sharp horn, stopping the conversation, I joined the pace of the moving train. Nice post Tomz...i have had a similar incident too and the person at fault was me :). Reached station and saw my name on the chart at the correct location but then another person with the same name turns up and states that seat is his. On checking my ticket i found my train was the previous days train. hmm..now dant say you talked to a young chap who was sleeping at the first berth. dont say u were with your family, dont say the next day the strange boy came and talked to u at the station..hehehe thanks for the comment.. I travel extensively, and have witnessed this happen many times. One time, the poor people got thrown off the train. The world is round, and who knows when we will meet the strangers we meet today, again, and turn into friends? All the best! Thanks Sandy, for your comment and appreciations.. Excellent penning. I too tried to find strangers in train itself. You too tried? Y jus try? strangers come into you right? WEll I was standing at a light when a car hit my car from behind, I got down and the guy asked my name I said Bikram he started smiling , found it arrogant.. But .. his name was bikram .. my birthday is 11/11 his was 10/10 and My house number and his house number both 143 .. HOW WEIRD can it be ..
Thats STrange indeed Biks..You have to make sure that you are not a historic person..Have you heard about something called Doppelganger? Yes they are your ghostly doubles. In history many people have been reported as seeing their ghostly double. I guess you had met yours..
Tom...Nice compilation of thoughts.Very well penned :) Your memory is good...!! The first picture of the steam-engine is hauntingly beautiful...conjures up many images in my mind!! That's great! I loved the way you ended the story by introducing to the strangers. Good Luck! Keep writing! Interesting experience. Goes very well with the blog-a-ton with the theme. Trains are indeed the best places to run into strangers in the night! Best wishes for BAT! always have loved the train journeys....way better than an airplane or bus journey! all the best for bat! train journeys are always more personal where you start interacting or discussing a nation's issue at the drop of a hat...bus or flight journeys are too impersonal! all the best for bat! Hope I can read ur train stories from your blog soon..
Maybe I did not understand your story, but I could not see any suspense in the story. Kindly help! hahaha Liked your frankness. People who read my posts have to remember one thing, that I dont write stories. Whatever I write are the events directly picked from my life, so you cant always expect a suspense, mystery or anything like that..My writings are usually plain writing, not necessarily anything imaginative. try to read my post once again with a mindset of furtively reading someone's personal diary, you will understand more, I am guarantee. Haha. Diwakar's comment is the cherry. Looking at your perspective, I know this one's about the journey... not the train journey... but the journey of the post.. and not the climax or suspense. yeah, your comment clarifies my perspective better. It is true that I often focus more on the way of my posts progress. Yeah but reading the comments from both of you, now I feel that my writings evoke the emotion called macabre, so i have to keep a suspense at the end of every post, so that people wont get dissatisfied..
At times, journeys are much more beautiful and meaningful than the end. Trust me! This comes from someone who has not written a SINGLE post without keeping the end in mind. I always think about the end and not the journey. And I know that's not correct. So, please be! I too had a similar incident but the person at fault was not me ..:)(smiles)..I really enjoyed reading your experience as i could relate to it..ATB for BAT..
happy to share my experience with you, thanks for the wishes.. Different angles. All the difference knowing and not-knowing can make. Thanks for your two line review..
Good One ! All the Best TOMZ!